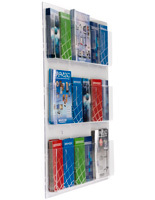 This wall mount literature display features a backboard and four adjustable pockets constructed with clear acrylic. 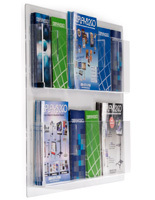 Each hanging magazine rack includes separators to allow users to display brochures. 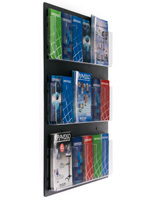 This wall mount literature display can be configured with four to eight pockets. 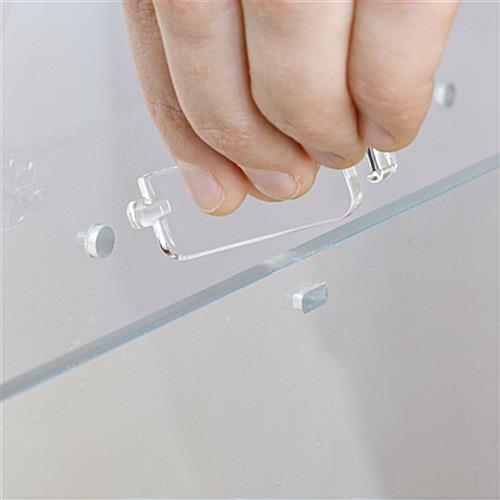 The snap-in pocket dividers are easy to install and remove with no tools required. 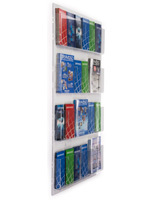 Place this wall mount literature display in a waiting room or reception area to organize reading materials. The clear acrylic design offers an unobstructed view of the pamphlets and flyers. 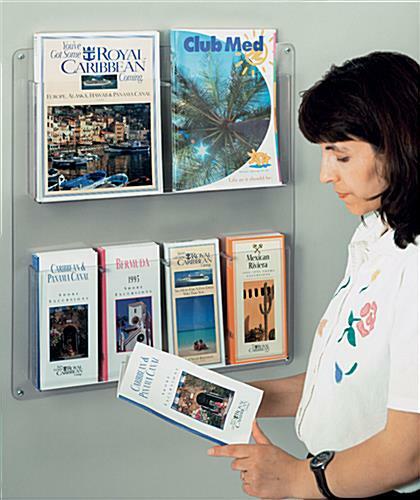 This wall mount literature display, mounted magazine rack offers patients and visitors a neat and orderly fixture to choose reading materials while they wait. The pockets can accommodate either one 8.5" wide magazine or two 4" wide brochures. 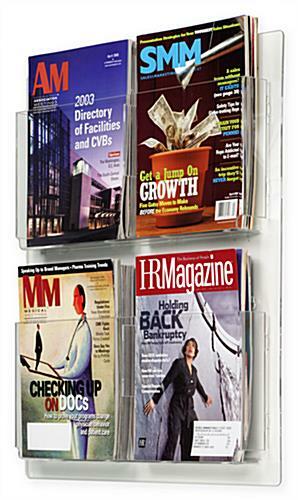 Hang this wall mount literature display in a lobby or office to keep magazines and other handouts from cluttering sitting areas. This brochure rack ships completely assembled. 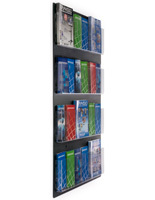 Included with each wall mount literature display are four screws. There are four pre-drilled holes; one in each corner in order to hang the unit. 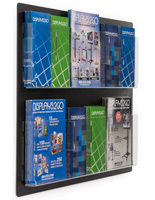 This wall mount literature display features a clear acrylic backboard that matches the pockets. 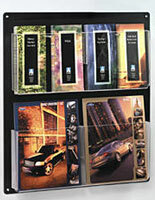 Car dealerships and hotels often purchase this brochure rack to offer customers free promotional flyers regarding products or local attractions. 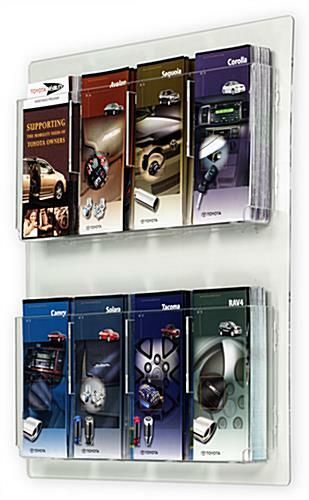 This wall mount literature display is also offered in larger sizes. 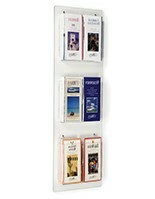 This is a great rack for flyers & brochures. It is exactly as described & very good quality. We will most likely buy another one soon. You won't go wrong with this rack. Thank you for taking the time to write this review and snap a photo! We're so happy to hear your literature display rack met your expectations. We hope you shop with us again soon!